The forthcoming Dainton Family Brewery brewery may be sat around waiting to be installed, but the new look beers keep coming. 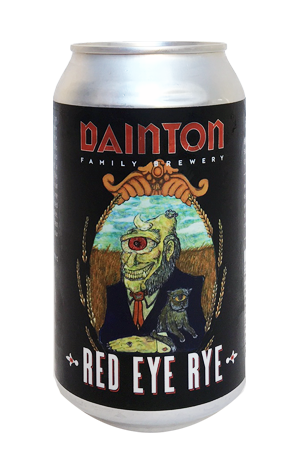 The latest beer to receive an update is Dan's first ever release, Red Eye Rye. It now comes with another of artist Dan Fabris' portentous labels featuring a satanic Red Riding Hood and glimmering red hops, not to mention some more dark poetry from brewer Dan Dainton. The beer itself is a little different to previous batches, mainly in that it's down to 4.8 per cent ABV from 5.2. But in terms of character it's as characterful as before. A wealth of hops and malts sourced from all over the shop come together to create a collection of citrusy and tropically fruity hop aromatics, spicy flickers from Dan's beloved rye, dark, toasty caramel flavours and a persistent bitterness, all of which manages to stay on the right side of cacophony. Unlike Dan's opera singing, that is.